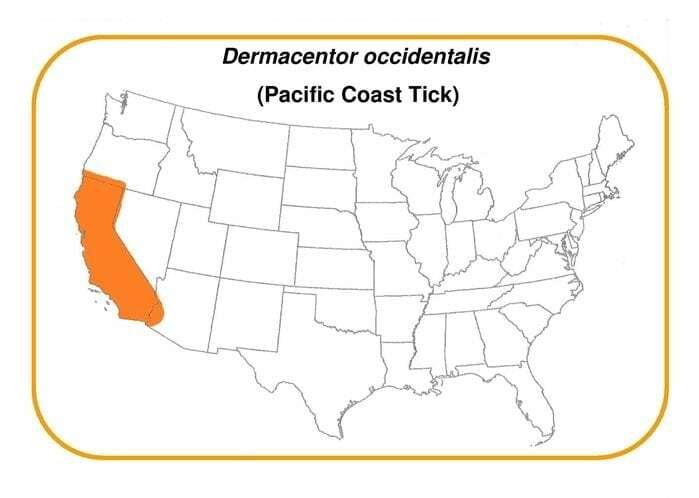 Ticks, part of the arachnid family, can be found on every continent. 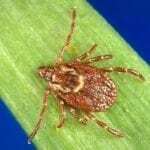 They feed on the blood of their hosts which range from birds and reptiles to mammals both large and small. 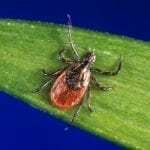 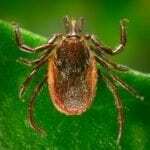 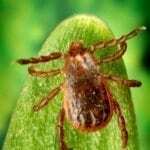 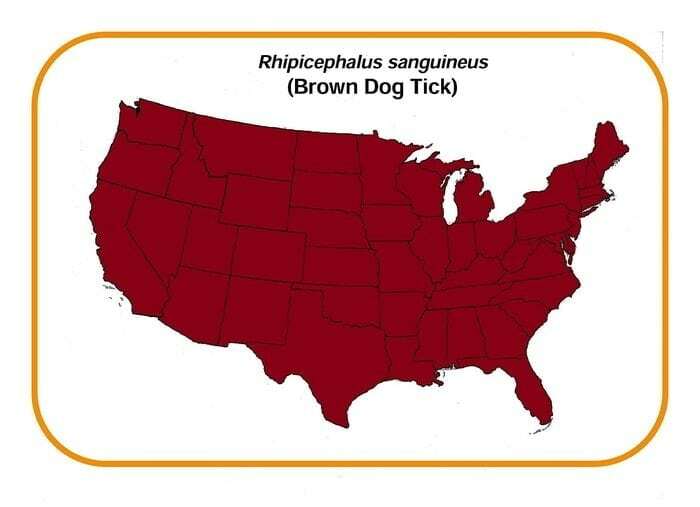 Of the nearly 900 tick species across the globe, 8 are of major concern in the transmission of tick-borne diseases to humans in North America. 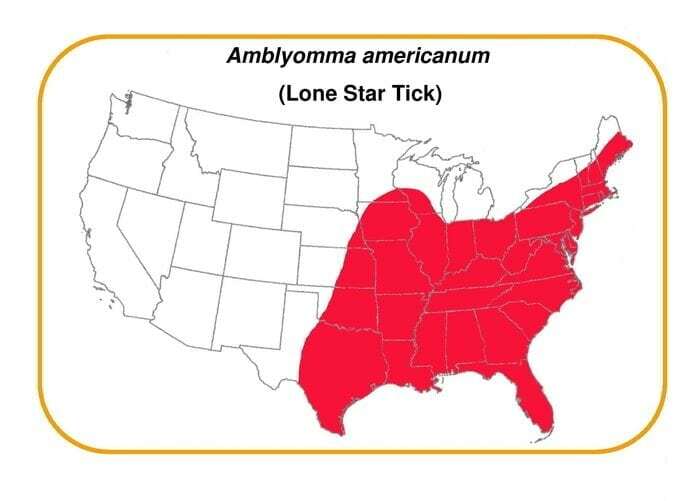 Though habitat varies from region to region, most ticks prefer to live in areas with dense undergrowth, long grass, leaf litter, fallen logs, and the edge of woods. 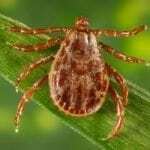 Ticks don’t jump or fall out of trees. 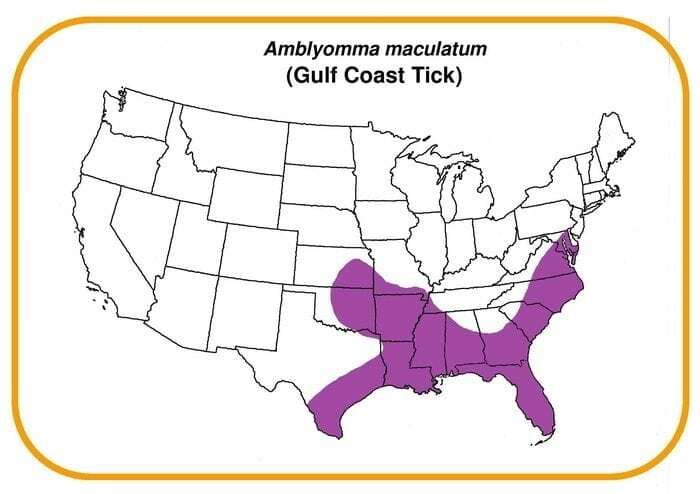 They move short distances on their own or on small mammals. 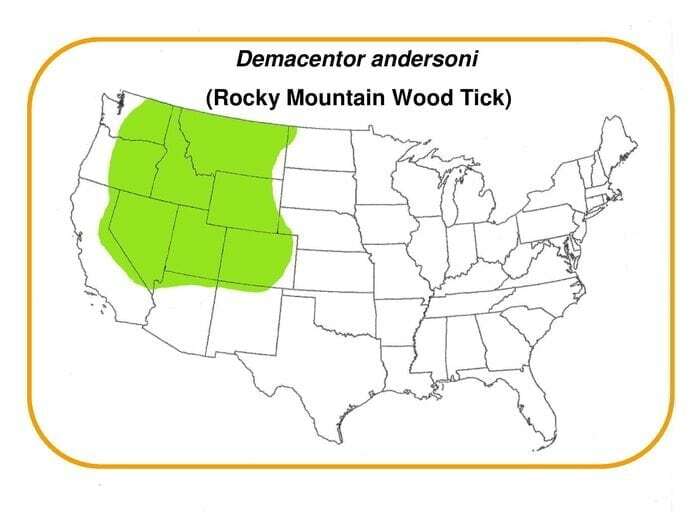 Long-distance travel is by deer or birds. 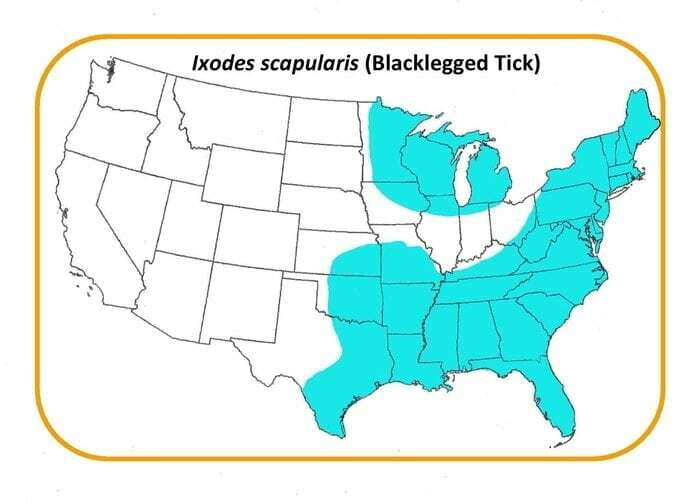 Blacklegged ticks don’t go and find a host, instead, they wait for it to come to them. 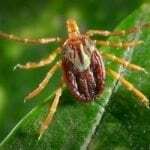 These ticks crawl out to the edge of vegetation, wait for something to pass by, and then grab on to whatever brushes into them. 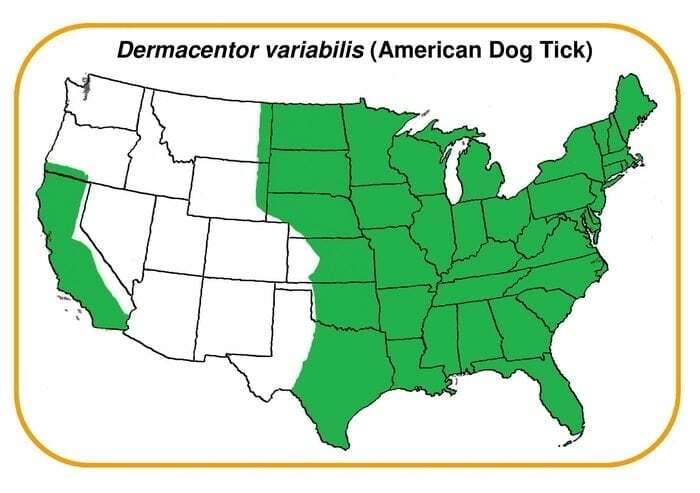 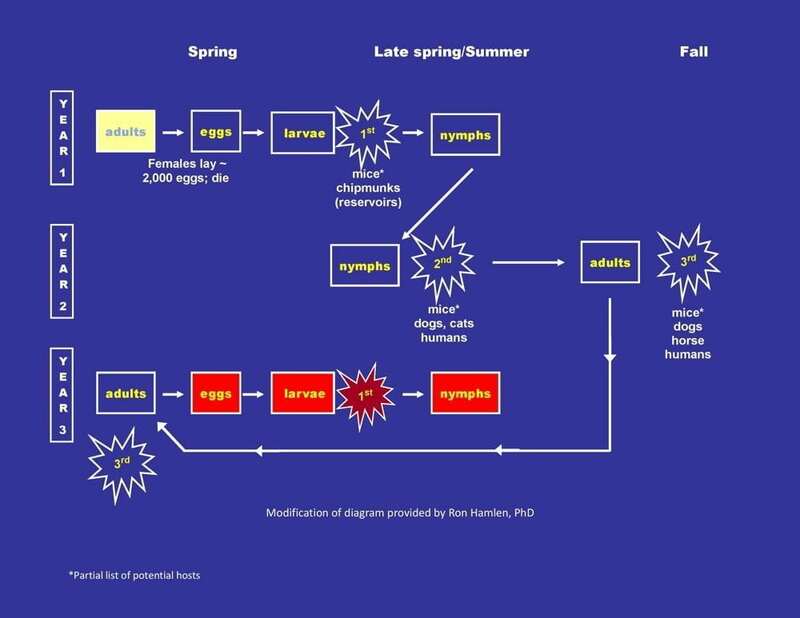 The ticks shown here are the primary vectors of tick-borne diseases in North America. 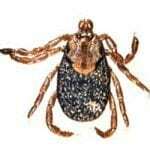 Transmits: Lyme disease, anaplasmosis, babesiosis, Powassan disease, Borrelia mayonii disease, Borrelia miyamotoi disease, Ehrlichia muris-like disease, and possibly bartonellosis disease. 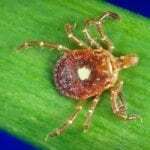 Transmits: Lyme disease, anaplasmosis, babesiosis, B. miyamotoi disease, Human Monocyctic Ehrlichiosis (HME), and possibly bartonellosis disease. 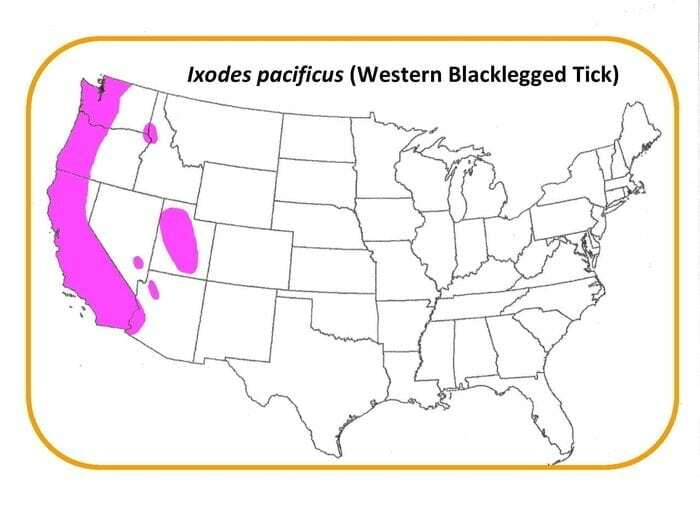 Geographic distribution: Pacific coast and western states.